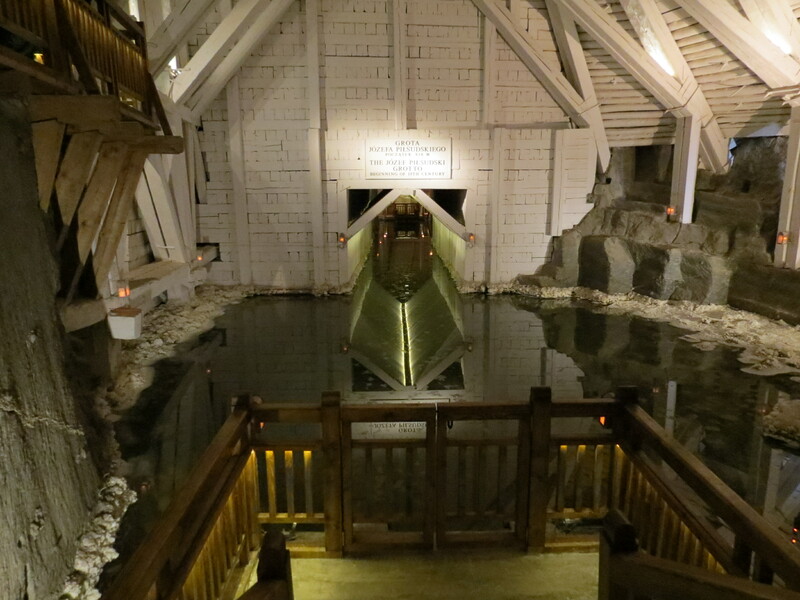 This has got to be one of the most interesting attractions I have visited to date. 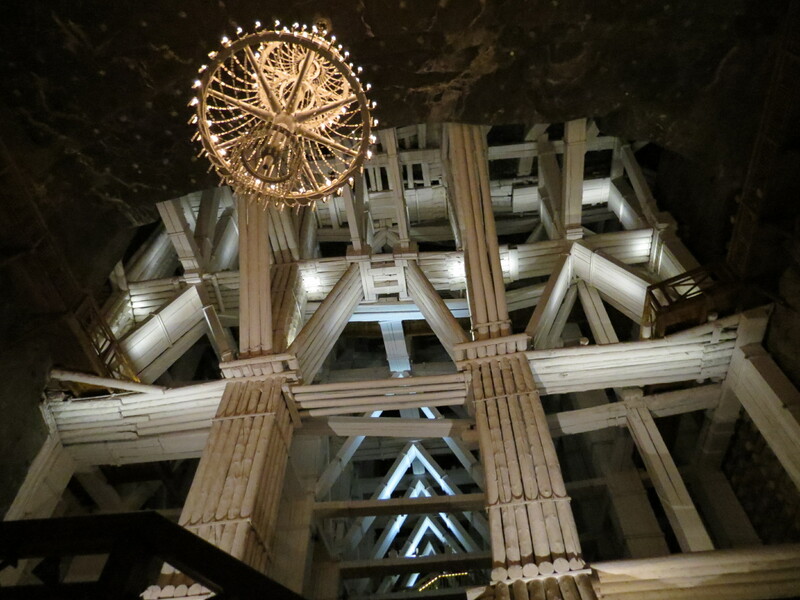 Located in the Kraków metropolitan area is the town’s salt mine that was built in the 13th century, but stopped operations in 2007. 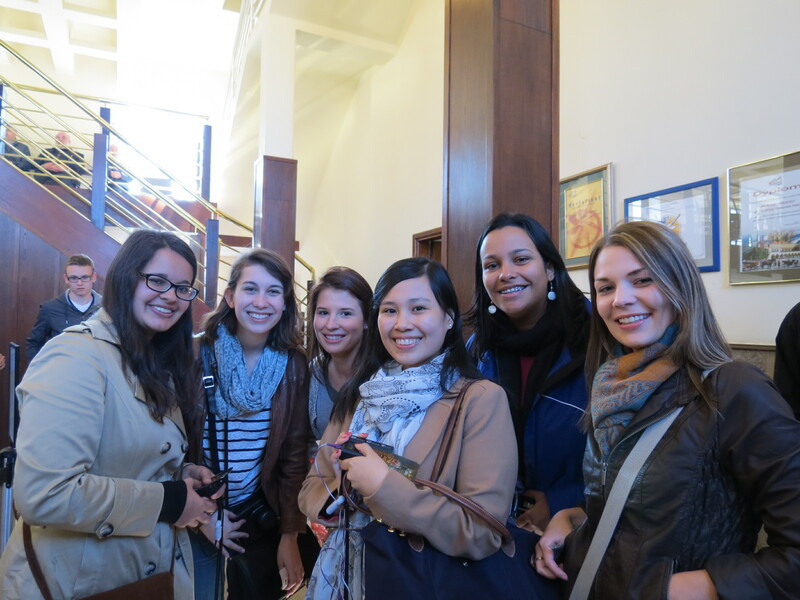 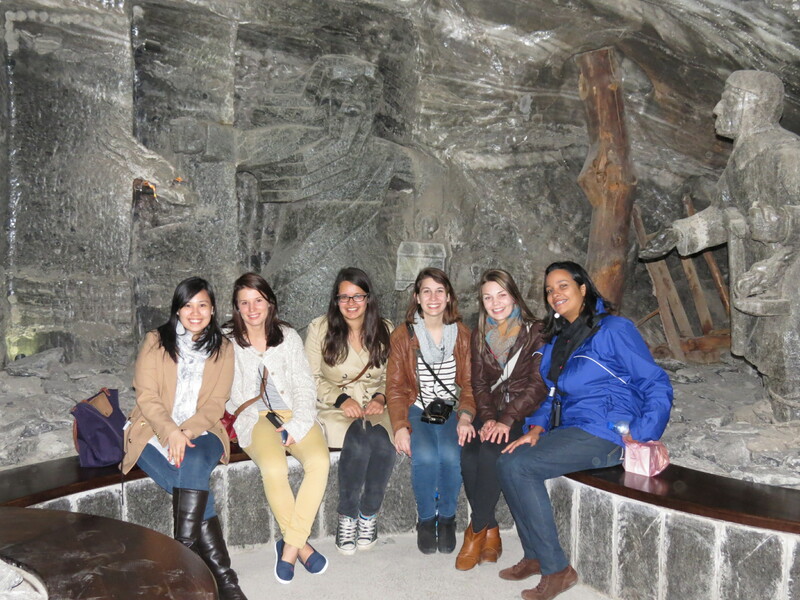 Together with (L-R) Sri Lankan Amandari from China, Russian Masha from the US, Mandy from South Africa, Amanda from Brazil, and Marie from South Africa, we were briefed at the lobby of the visitors center that we were to climb down nearly 400 steps into the mine. 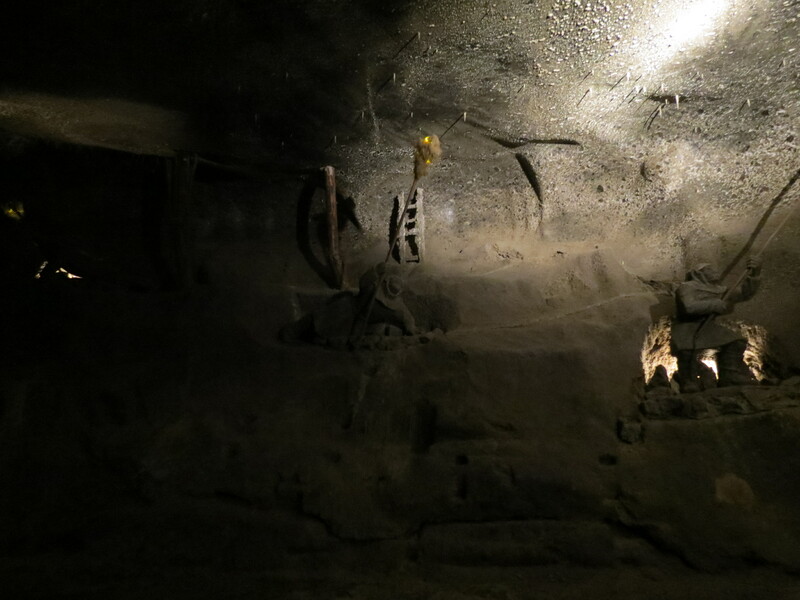 After what seemed to be a multitude of levels, we arrived at the bottom of the stairwell and started the tour. 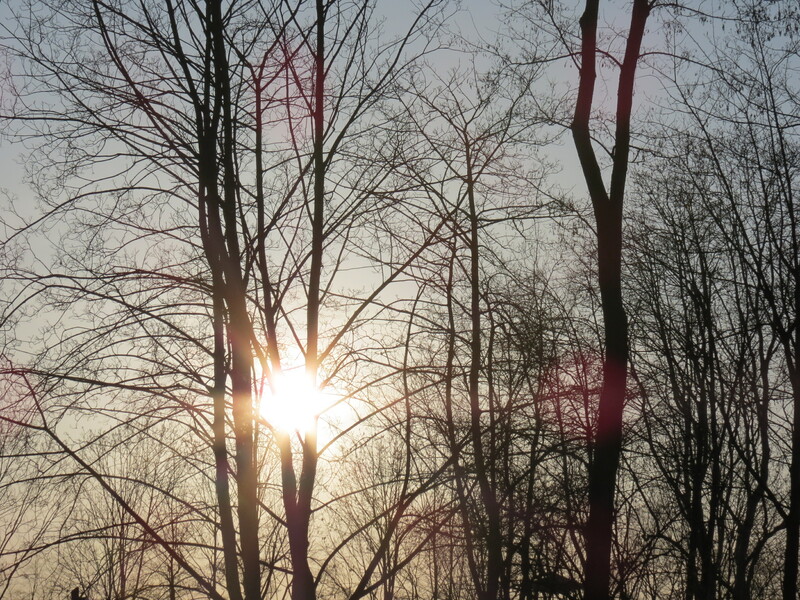 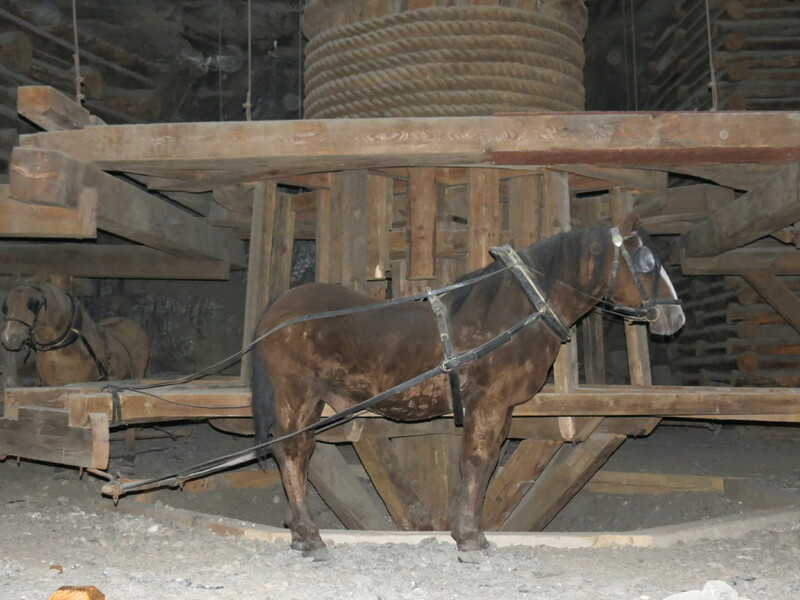 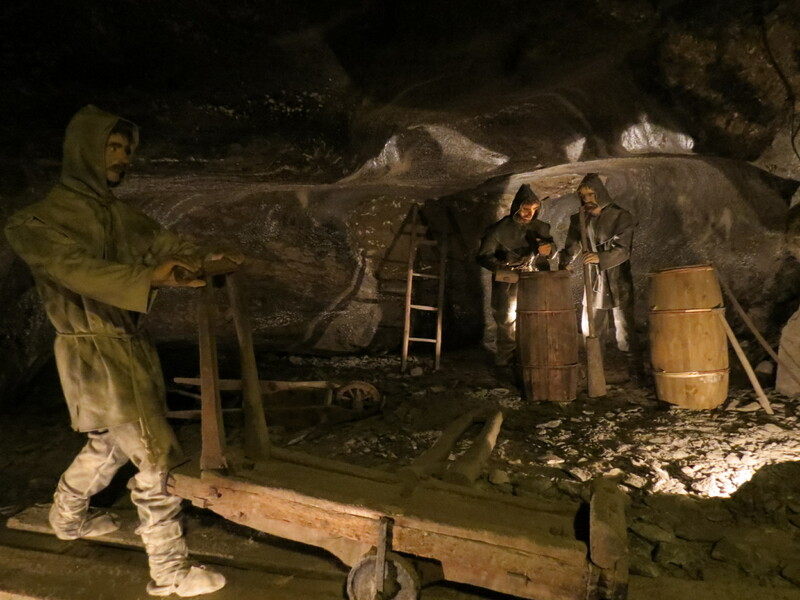 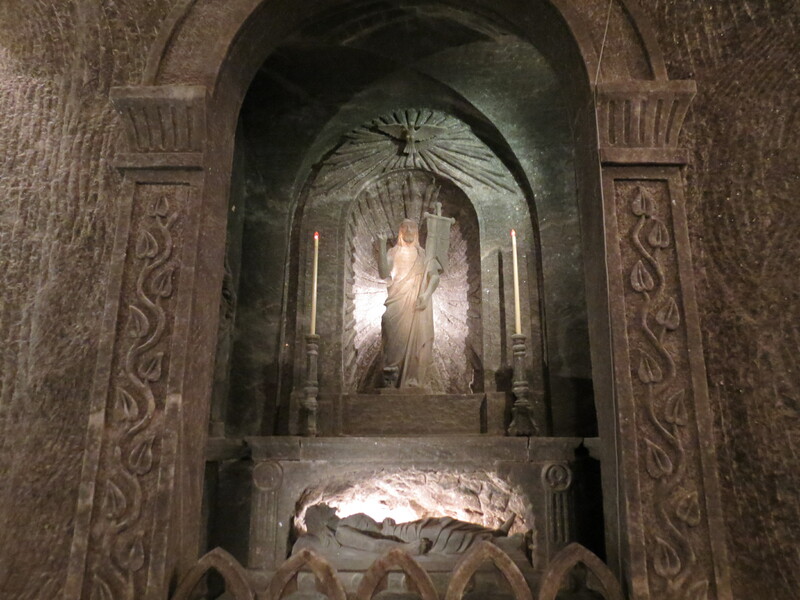 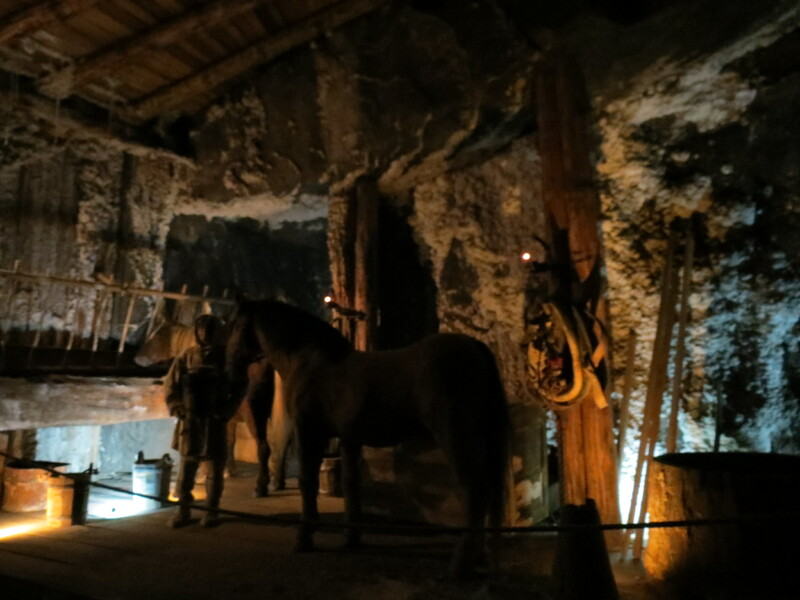 Though photos will never do justice, since the mine was dimly lit, I hope these photos will serve as some kind of inspiration to others out there to journey to Poland and visit one of the most interesting attractions I have gone to. 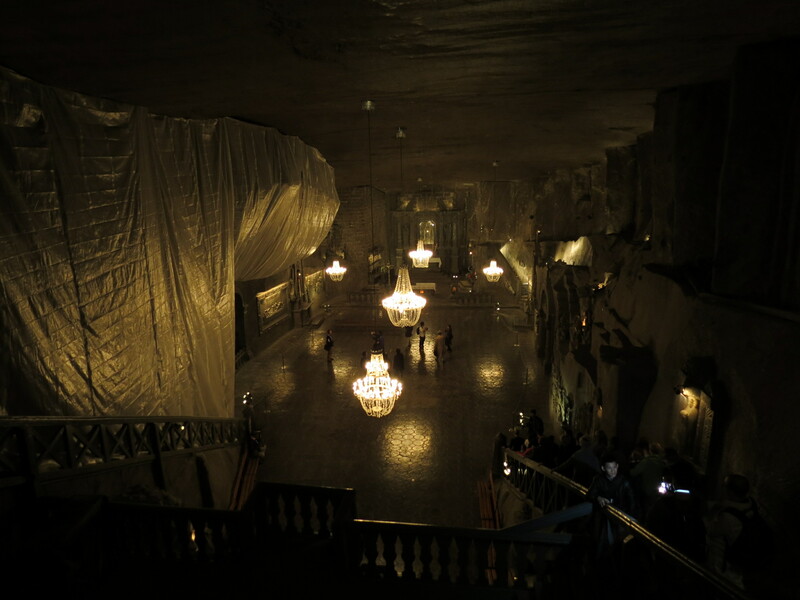 Almost everything in the Salt Mine, obvious from its name, is made from salt; from the walls, the structures, the chandeliers that will be seen in the later photos, down to some of the benches. 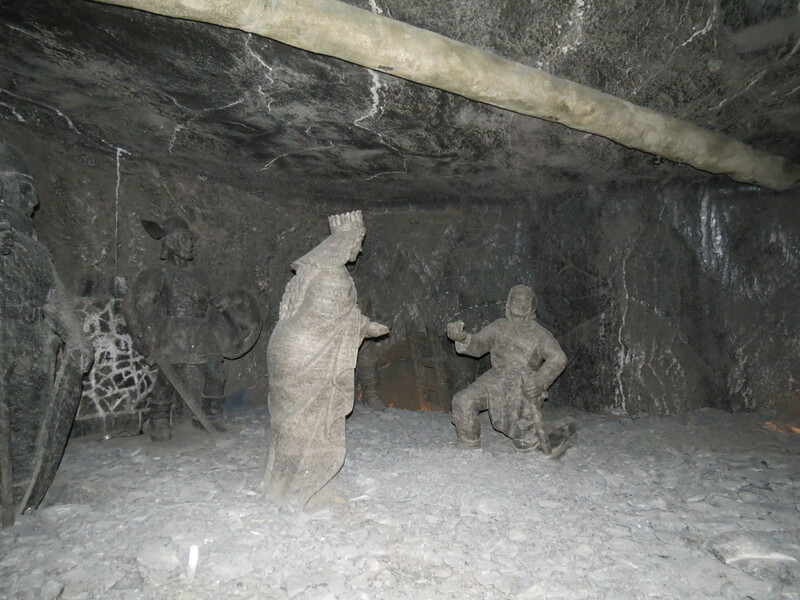 Several small chapels are found in the mine, since most of the miners that worked therein were Catholic. 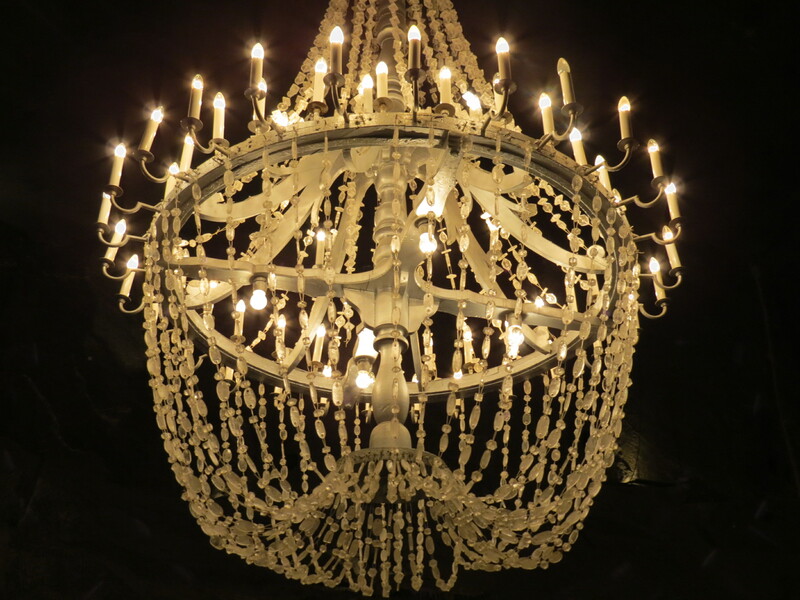 Probably one of the highlights of the tour was the chapel that had four salt chandeliers hanging from its high ceiling. 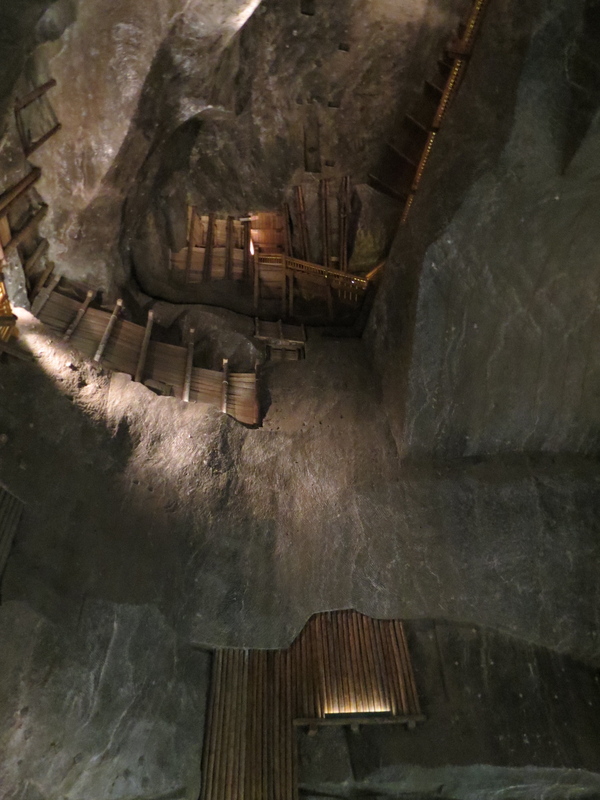 It’s not seen well, but the photo below depicts a massive staircase that lights up as part of one of the musical attractions in the mine. 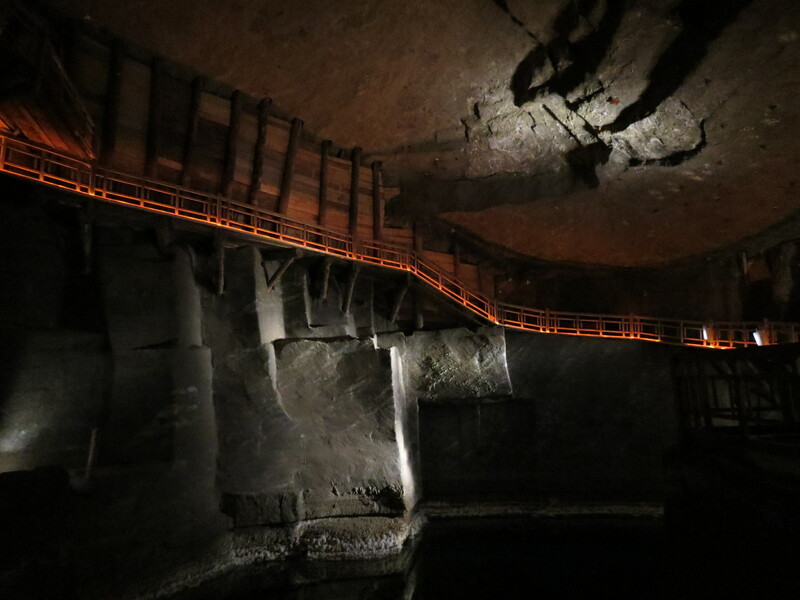 By the time we ended the tour, we found out we were 135 metres/443 feet underground. 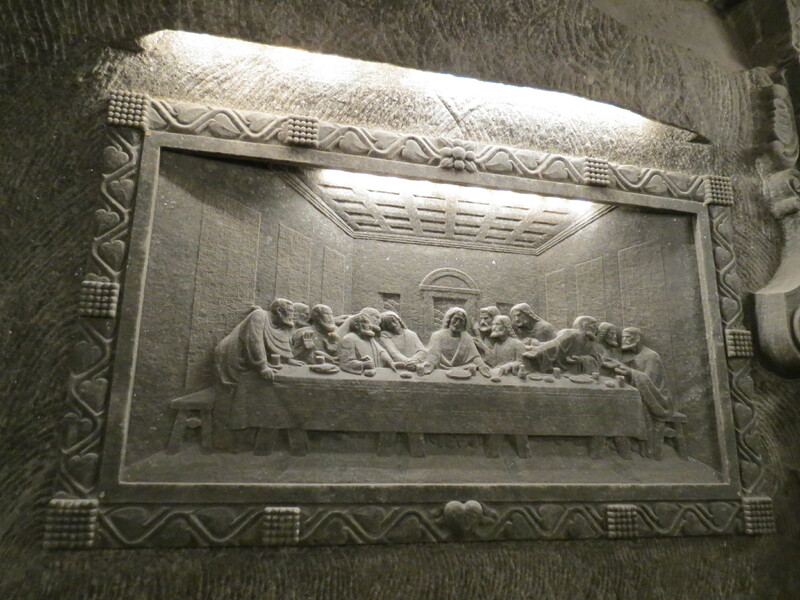 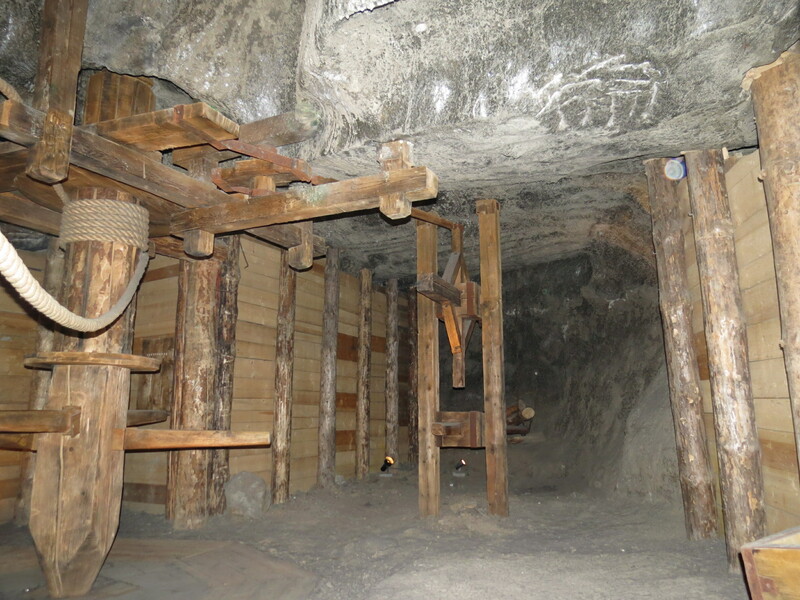 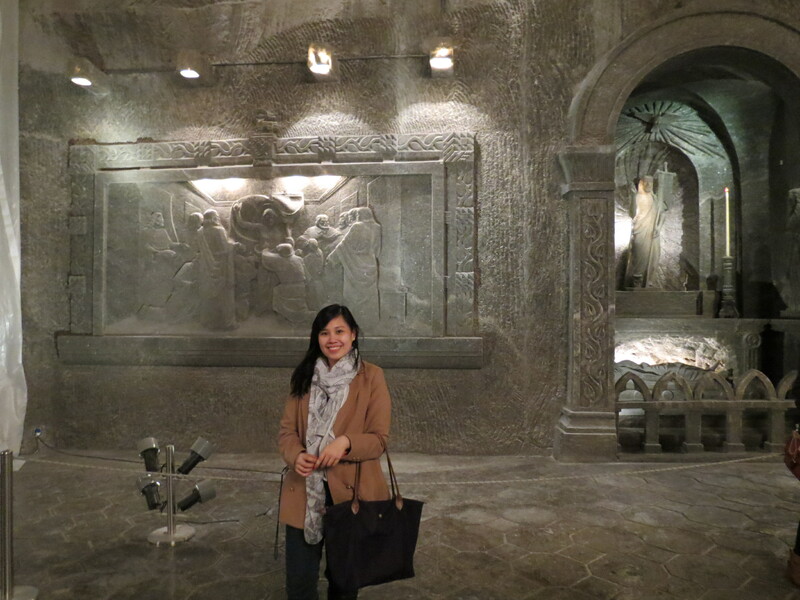 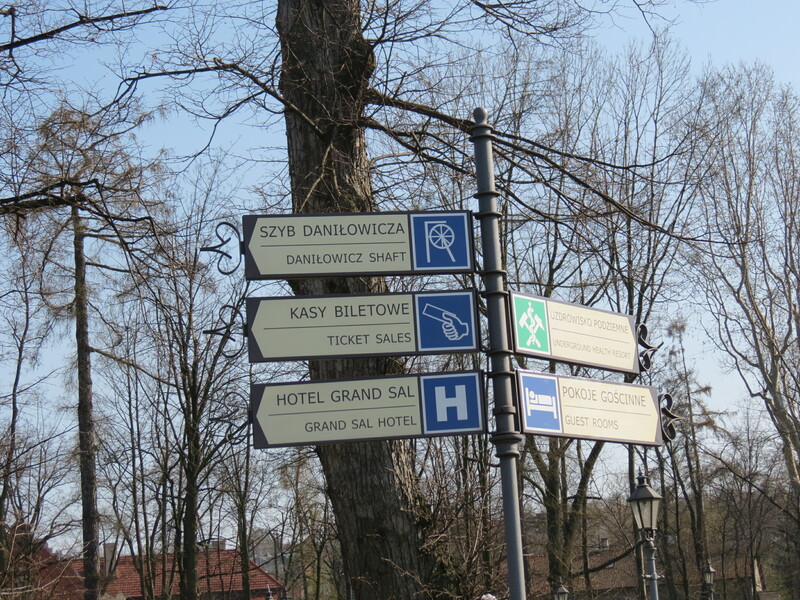 The trip to the Wieliczka Salt Mine has got to be one of my most interesting experiences to date. 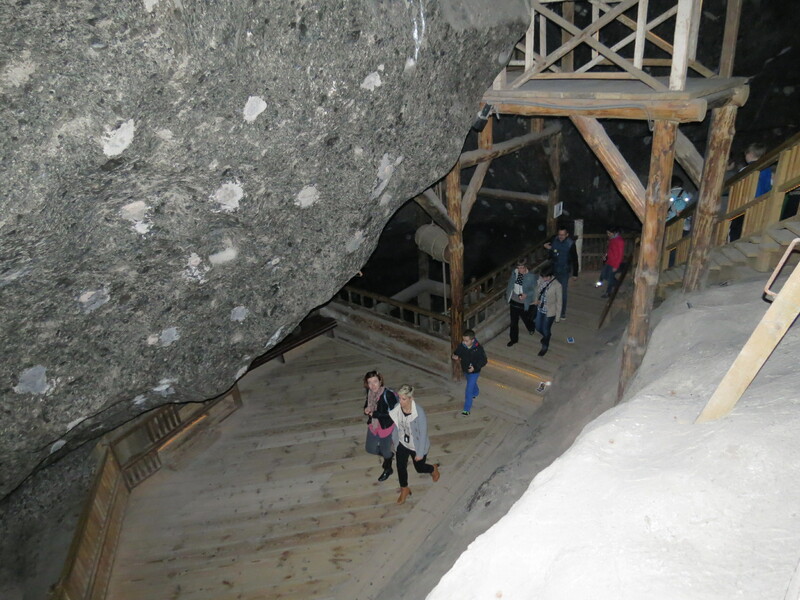 Also known as the Underground Salt Cathedral of Poland and listed as an original UNESCO World Heritage site, the Salt Mine is a must-visit when you find yourself crossing Polish land and onto the city of Krakow.